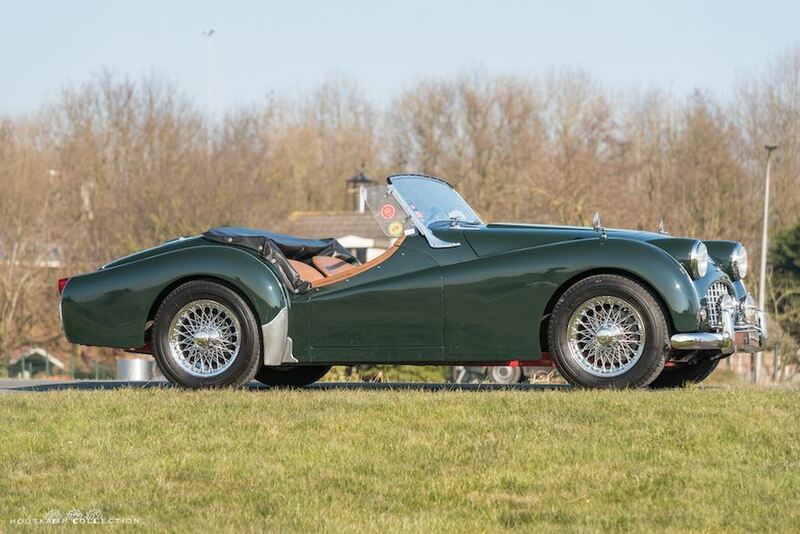 Lacking a sports car capable of competing with those of MG and Jaguar, Triumph started developing a new sports car, the TR2, which it displayed proudly at the Geneva Motor Show in March 1953. 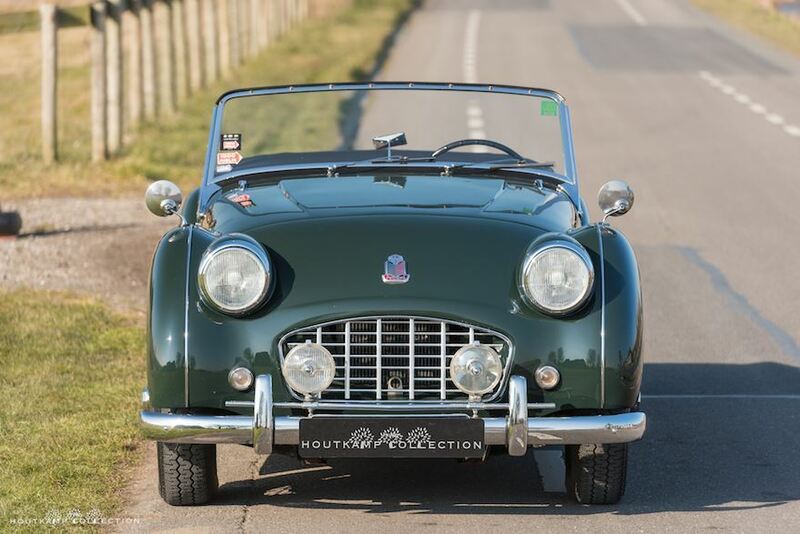 An enormous success both at home and abroad, it was to be expected that its successor – the TR3 – would represent evolution rather than revolution. 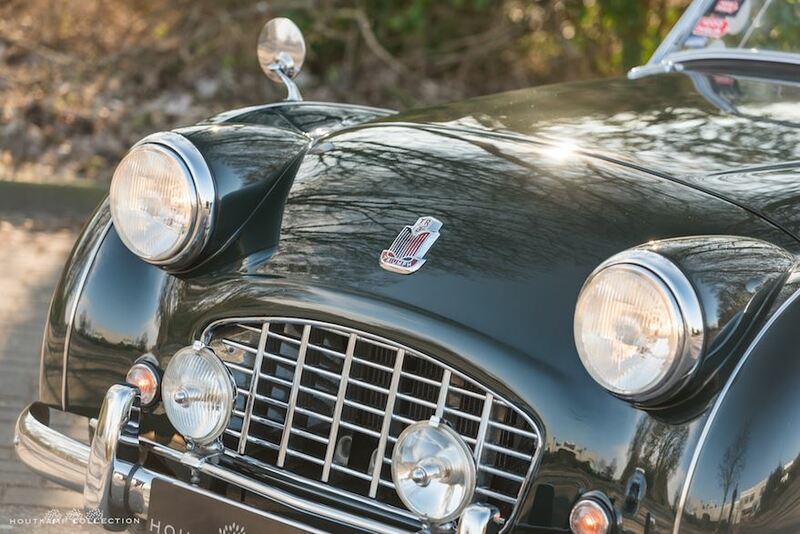 Introduced in October 1955, the TR3 was, indeed, little different from the preceding TR2. 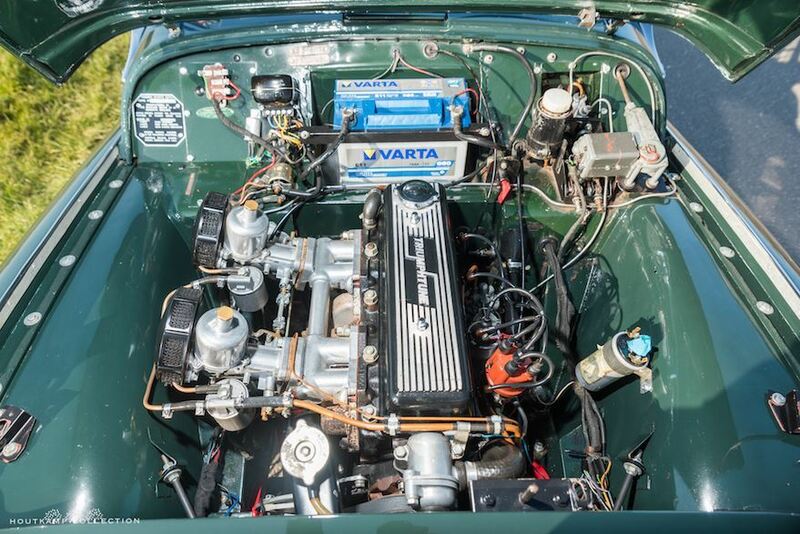 Changes to the 2.0-liter engine boosted power from 90 to 95bhp, but the most obvious difference was the adoption of an ‘egg box’ radiator grille. The engine developed 100bhp courtesy of a new cylinder head by mid-1956; then in August, Girling front disc brakes were introduced. 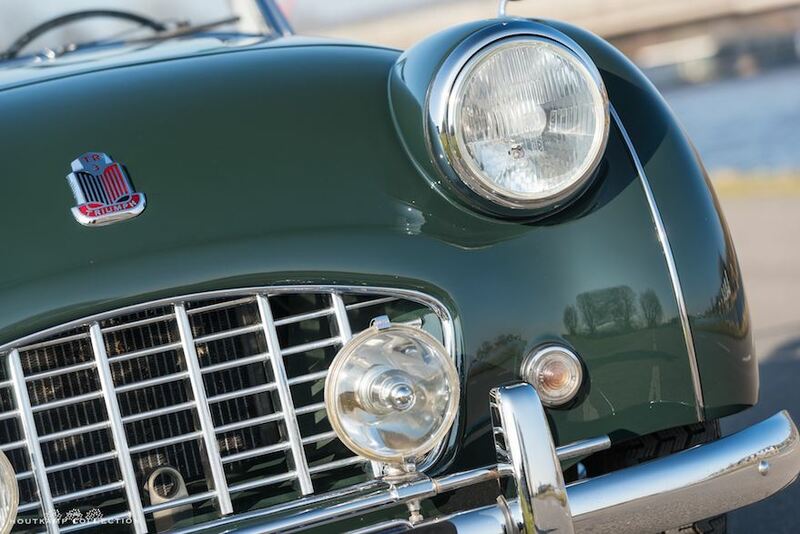 The TR3 was introduced during 1957, with cosmetic changes including new front-end styling featuring a full-width grille incorporating sidelights/indicators, and locking door and trunk handles plus an improved interior. 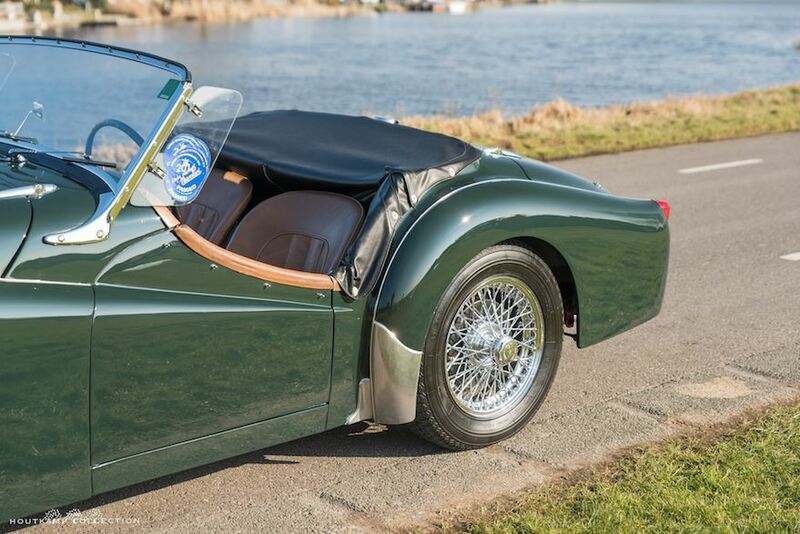 Today these charismatic Triumph sports cars remain popular for their usability, ease of maintenance, good looks and the fact that they are immense fun to drive. 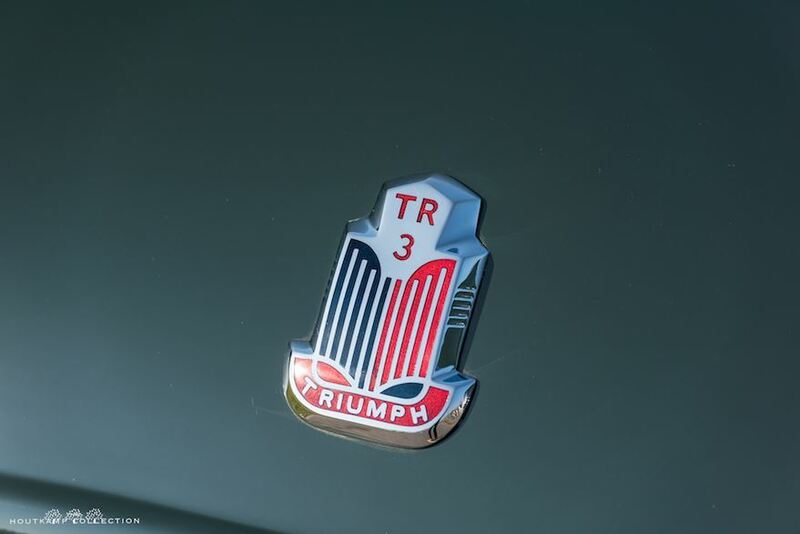 The TR3 was a huge success for Triumph selling 58,236 examples, mainly to foreign buyers. 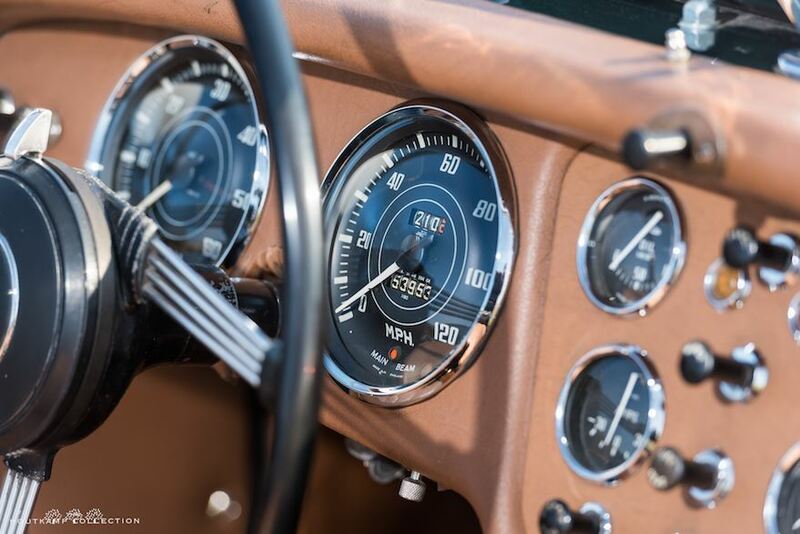 However, it is believed that only 10,000 of the original 58,000 built are on the road today. 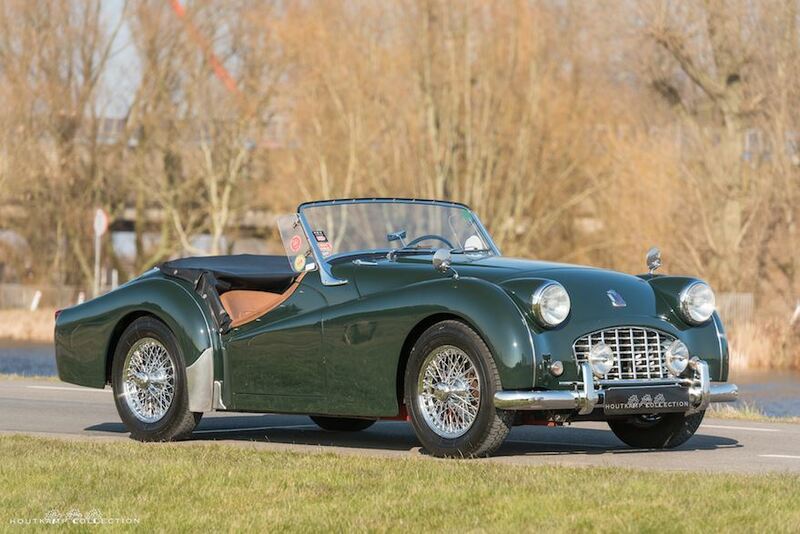 This lovely TR3 was completed on February 15, 1957 and dispatched to America. 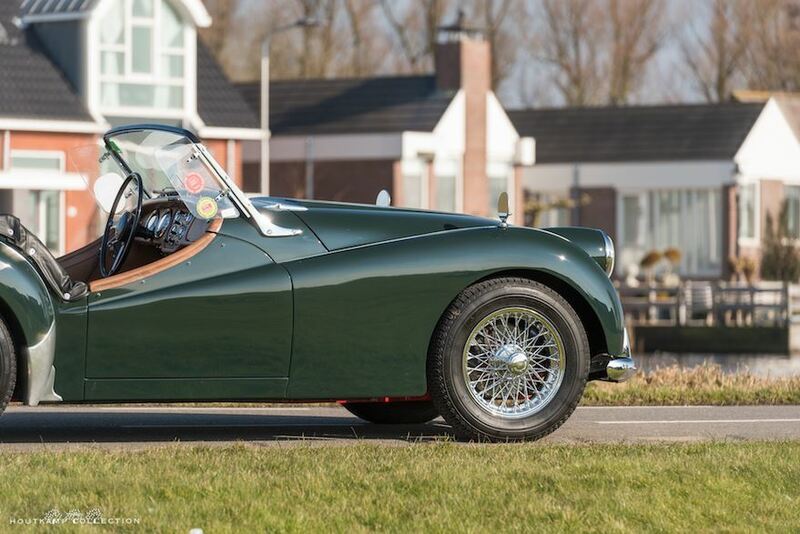 The Triumph is nowadays finished in British Racing green with Beige interior trim and arrived in 1999 in Holland. 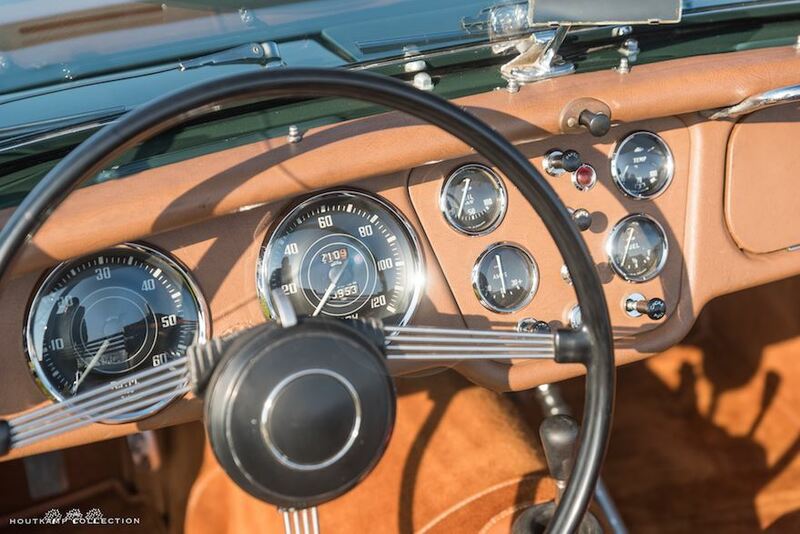 The car is now in a beautiful condition as it has been extremely well maintained since September 2005. 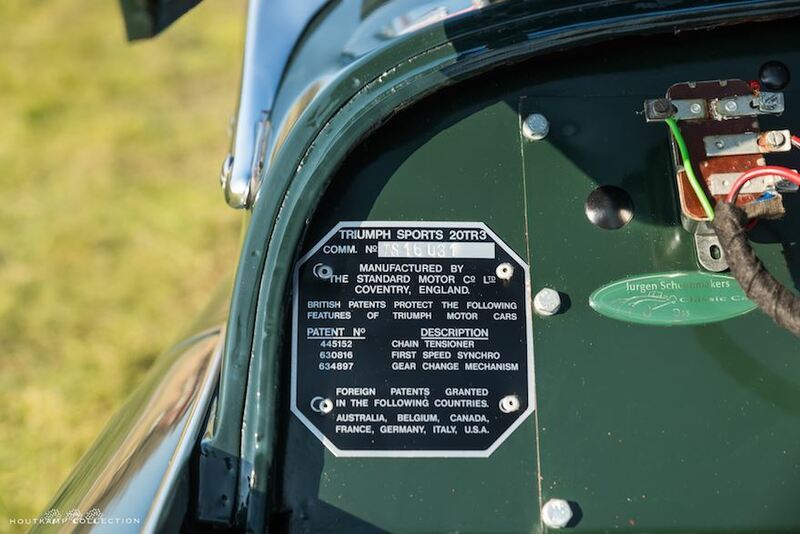 From that moment the Triumph was acquired by one of our best rally friends. A gentlemen who is extremely fanatic and very careful in preparing his car. 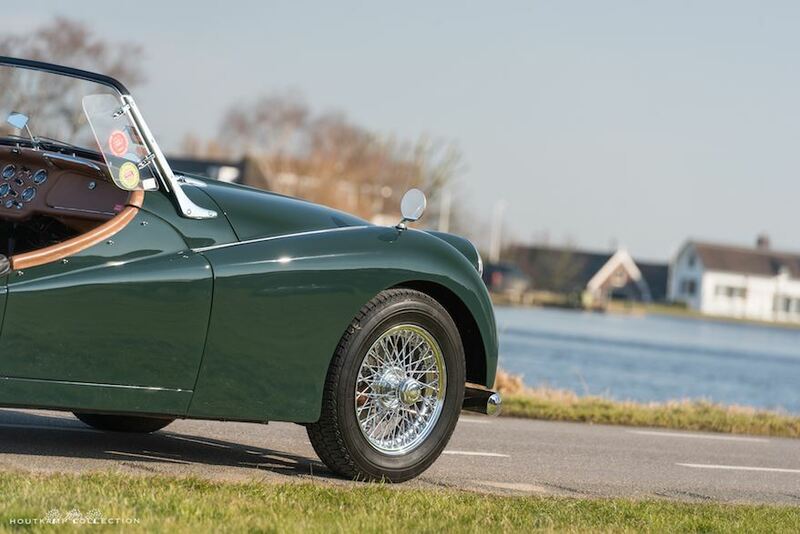 Serious amounts have been spend on this Triumph to make her as reliable as possible. This resulted in a rebuilt engine, rebuilt suspension, rebuilt drive train, rebuilt brakes etc. etc. 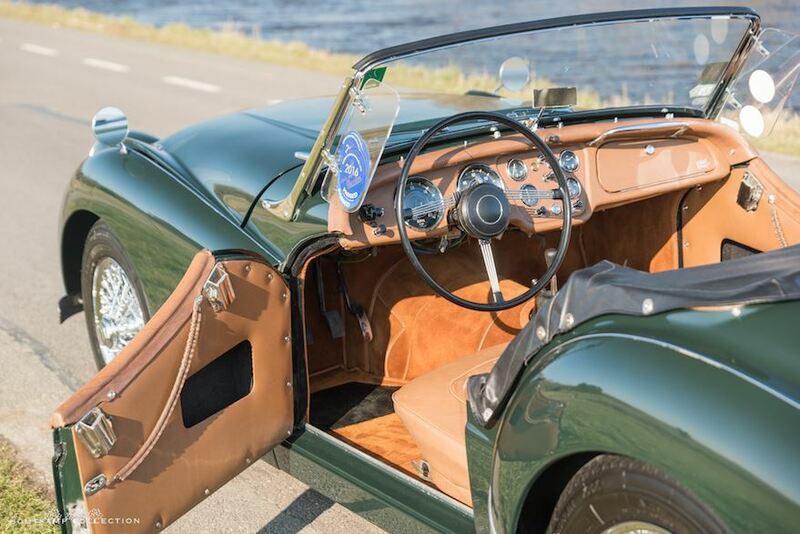 The Triumph was enjoyed by the former Dutch owner participating with a friend in a number of events including participating successfully in the 2009 and 2011 Mille Miglia as well as in eight editions of the famous Gran Premio Nuvolari. 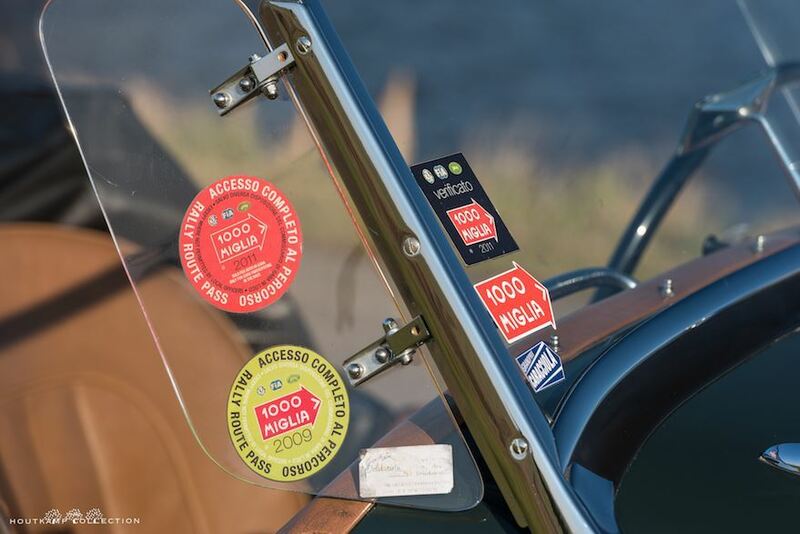 This wonderful car has the FIVA Class A3 Passport, issued in June 2016 proven to be Mille Miglia eligible. 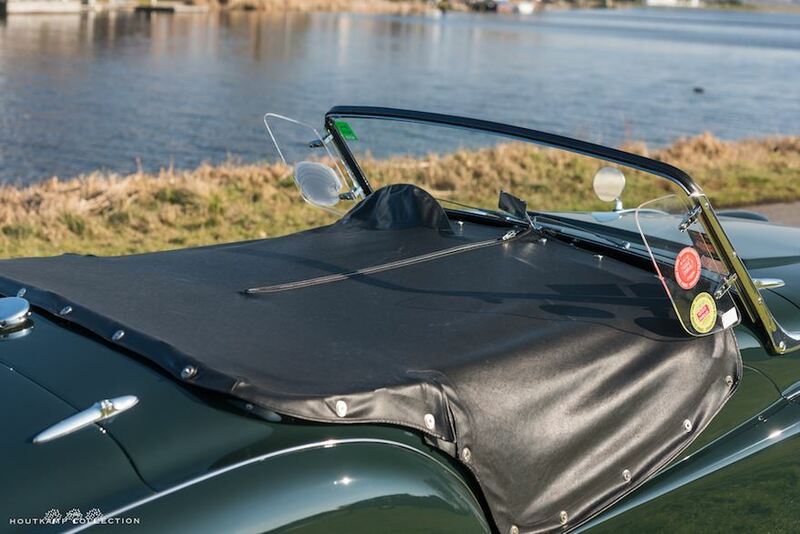 The Triumph remains extremely well presented with good shut lines and panel fit. The exterior of the Triumph is very nice. 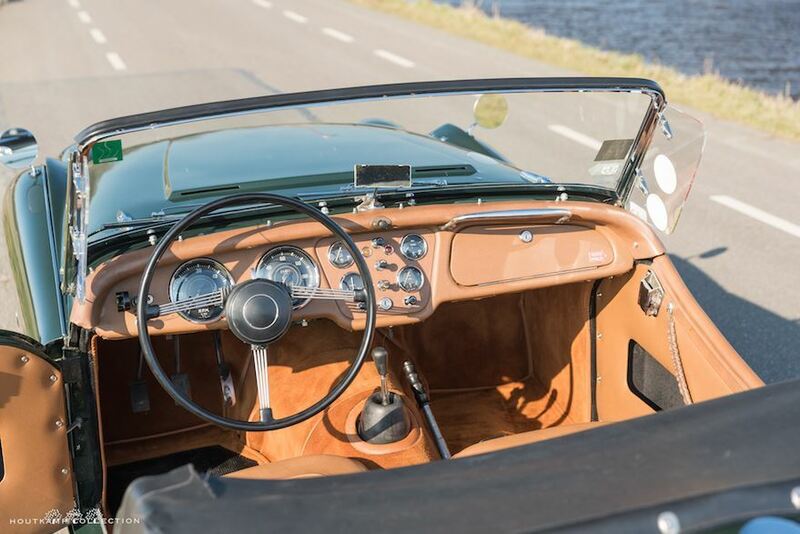 The car is restored some years ago and used quite often since the restoration for a variety of rallies and tours but the body is still very nice. 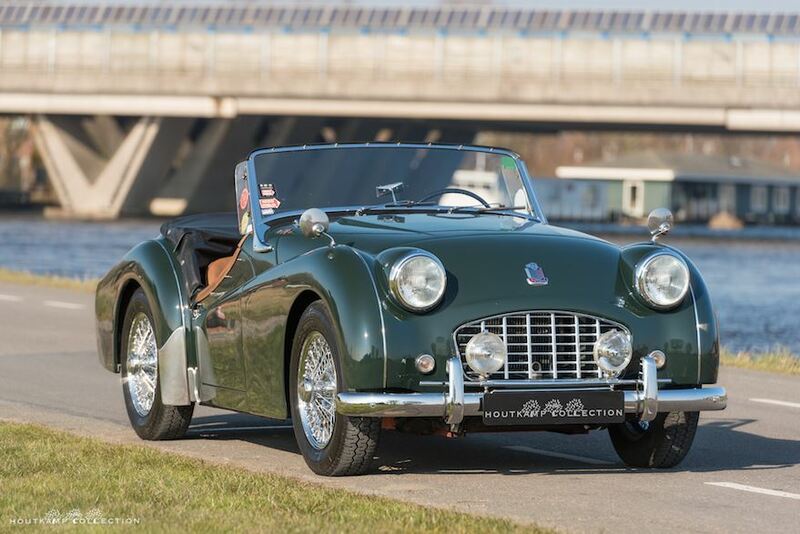 It will be hard to find a much nicer Triumph TR3 as these cars have had unfortunately not the value to restore the cars very well. Here and there it is possible to find a very minor scratch or stone chip but this belongs to a car with a serious history. The chrome and aluminum are all in a very nice condition. 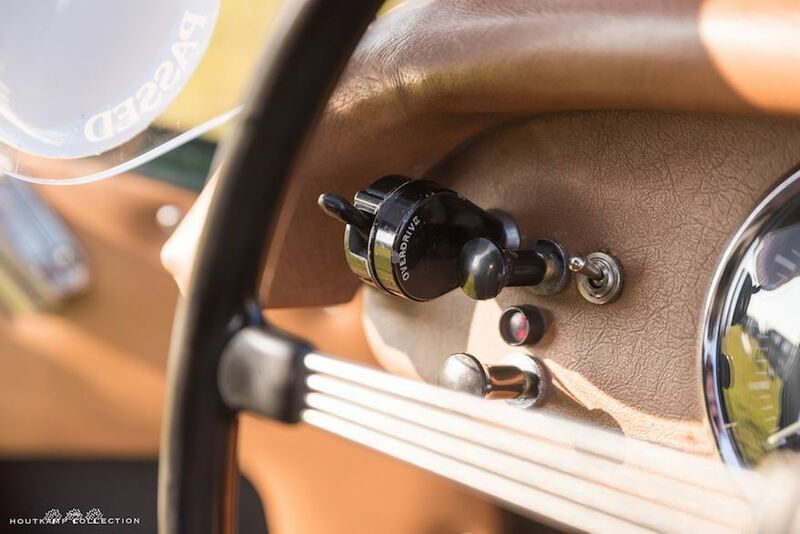 The interior suits the exterior very well and the interior is finished with a beautiful condition Beige/tan leather dashboard and seats. 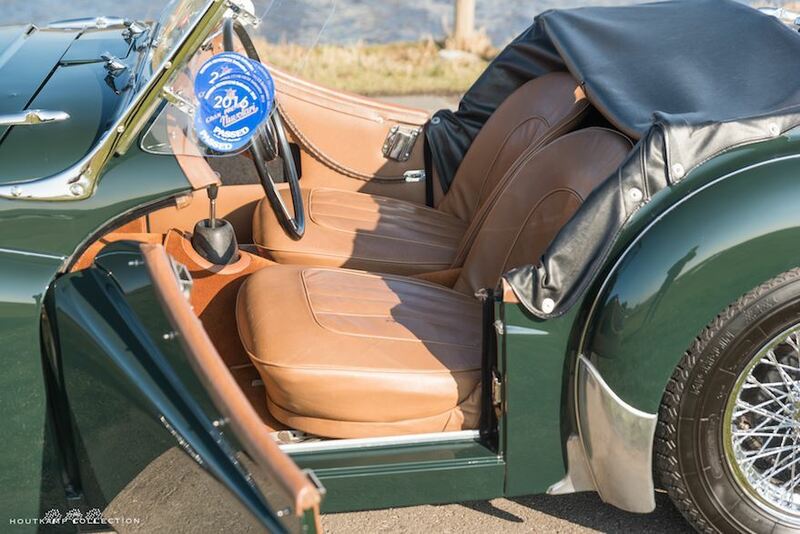 The interior is in good overall condition, with reupholstered leather and front and rear seats that are in good shape. The carpet is also in a very nice condition. 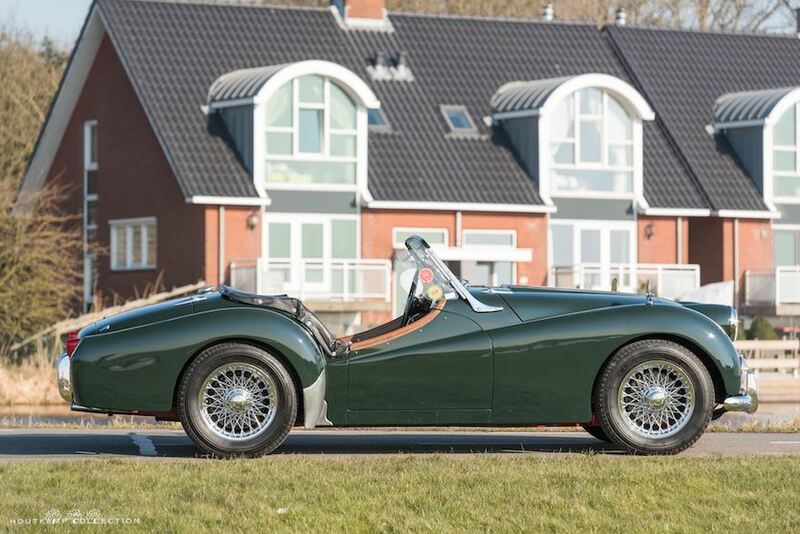 Offered in ready to enjoy condition, this beautiful TR3 should prove great fun over the coming summer months. Every car is driving slightly different but this Triumph is absolutely 1 of the best driving examples we have had in our collection. The Triumph runs and drives extremely nice. The engine starts easily and it sounds great and is tractable, producing great noise. The chassis and suspension are solid and control the car well, and the entire driving experience is quite harmonious and reassuring, encouraging the driver to drive the car in a spirited manner. 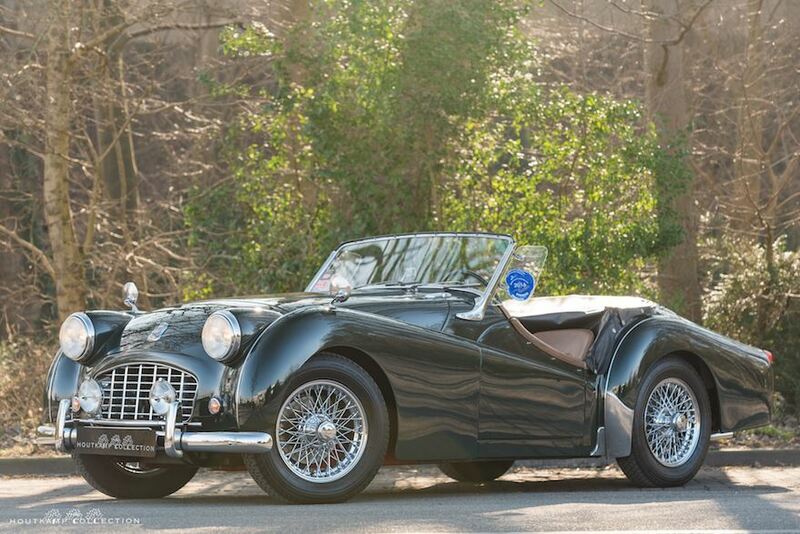 Altogether, this is a nice Triumph TR3. 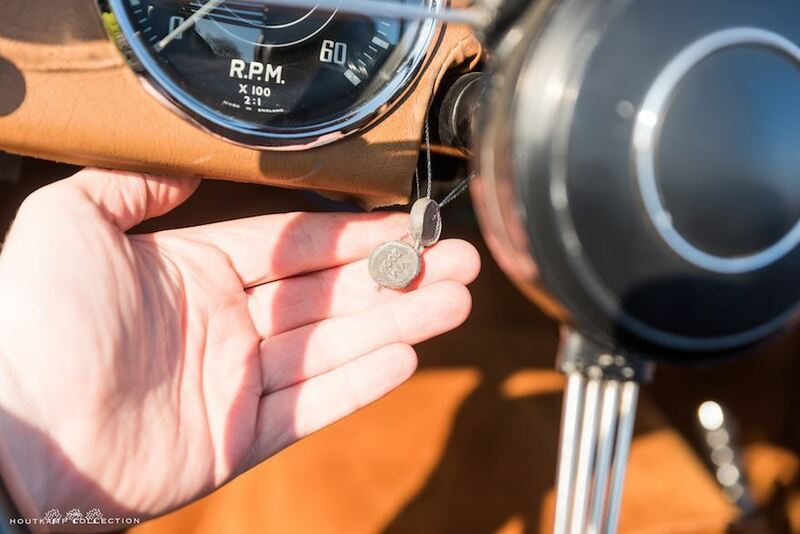 Beautifully presented throughout, it is ready to serve its next owner well, whether that be for personal use or as a entrant at many driving world class tour or at the 2019 Mille Miglia.